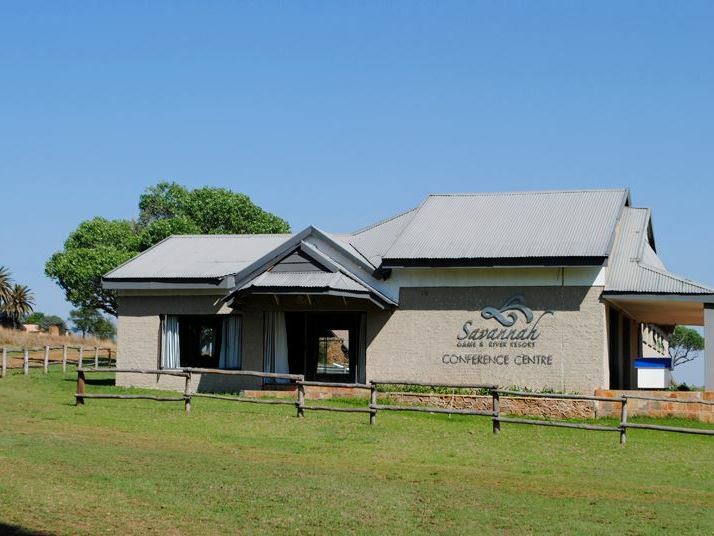 Savannah Game and River Retreat are located on 2,500 acres of unspoiled African bush and offer guests a comfortable, quiet, tranquil and relaxing bush veld stay. 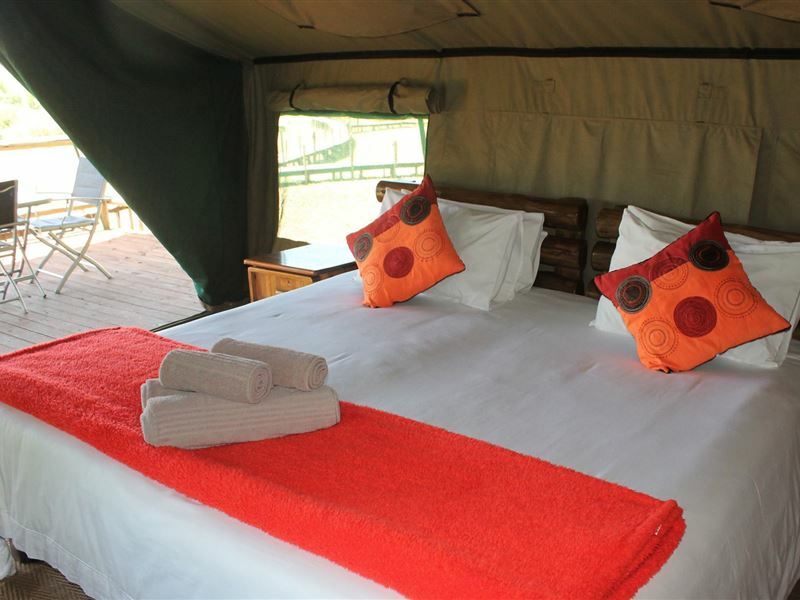 When visiting this beautiful nature retreat, guests have a choice of staying in one of the comfortably rustic tented chalets that overlook the bush veld, en-suit guesthouse rooms or a rondavel overlooking the pool. Please inquire for additional activities, game drives, river paddles, river walks and much more! Our rates include breakfast. We also cater for groups, bachelor/ette parties, conference groups, team building and almost anything you can think of! All the units have en-suite bathrooms. Tea and coffee facilities are available in each unit, and hairdryers are available upon request. Breakfast, lunch and dinner are served on our viewing deck or in our Restaurant. A Cash bar is available on the premises. Guests can relax around the pool with a sun downer and enjoy a bonfire in the African Boma. 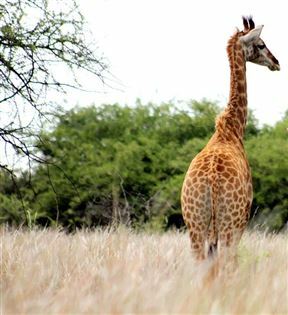 Savannah Game and River Retreat are home to 25 different species ranging from buffalo to Sable, Kudu, Giraffe and many more. Guests can enjoy fishing along the fishing trail and the retreat is also a haven for bird watchers as there are over 300 different bird species to observe. Please note that we do not allow self-catering or own alcohol. There is also a gravel road on which guests must drive in order to get to the establishment. 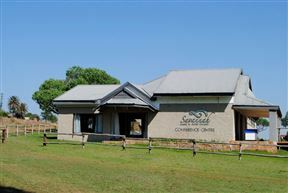 Savannah also has one of the BEST Wedding Venues in the Free State! When you get married at Savannah, the entire 3000 acre Game & Nature farm is exclusively yours. The open air Chapel is surrounded with exquisite white Stinkhout trees and is directly on the banks of the Vaal River. While saying “I do” the river quietly meanders past and the sun set explodes in brilliant colours of orange and red against the mountains of the Vredefort Dome. The tranquillity of the beautiful surroundings engulfs the ones with love and peace, gathered to witness the union of two souls. Hear the call of the fish eagle searching for its mate while perched in a tree nearby. Savannah has 2 en-suite Thatched Rondavels. Each en-suite bathroom has a shower, basin and toilet. Each Rondavel has a Queen Size Bed OR 2 single beds. The Rondavels are perfect for a quick getaway and has the relaxing view of the swimming pool. This unit is equipped with a coffee/tea station, a wall heater and electric blankets in winter. It includes all bedding, towels and amenities. 8 Stunning En-Suite Lodge Rooms each with their own character! Rooms can either have a king bed or 2 single beds. Some of the rooms can sleep up to 4 guests. This unit is equipped with a coffee/tea station, a wall heater and electric blankets in winter. It includes all bedding, towels and amenities. 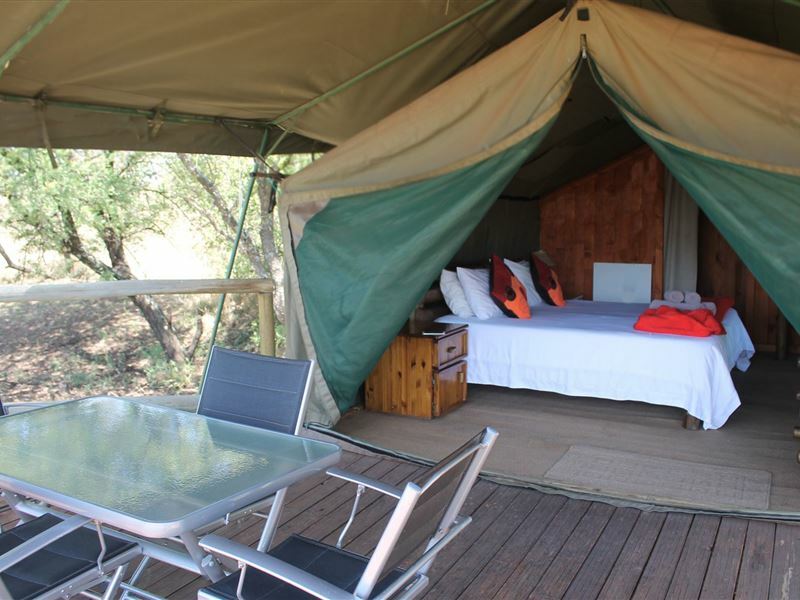 Savannah has 5 Rustic en-suite Rustic Tented Chalets. Each en-suite bathroom has a shower, basin and toilet. 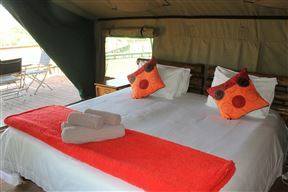 Each tent has a King Size Bed OR 2 single beds, 1 additional bed can be added for children or a 3rd guest. Our Tents are built on a solid structure raised off the ground. This gives you a great view of the African Bushveld and the Vredefort Dome. 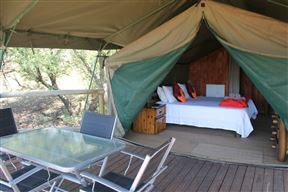 Each Tent has its own deck with comfortable chairs and a table to enjoy a cold sundowner from our fully licenced bar. This unit is equipped with a coffee/tea station, a wall heater and electric blankets in winter. It includes all bedding, towels and amenities.